Insects are the most abundant and diverse organisms that inhabit our planet and are found in all the world's forest ecosystems. Many feed and/or breed on parts of trees. Some perform important functions, such as pollination or break-down of dead vegetation. Others weaken, deform or kill trees, and compete with humans for the many goods and services that trees and forests provide. 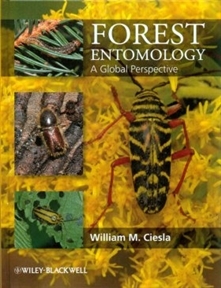 Forest Entomology: A Global Perspective examines forest insects in a global context and reviews their dynamics, interactions with humans and methods for monitoring and management of species that damage forests. Also provided are 235 profiles of forest insects, worldwide. A series of tables provides summaries of the distribution and hosts of many more species. Included are those that damage forests, others that are simply curiosities and some that are beneficial. This book is designed as a reference for students, practising foresters and forest health specialists, especially for those who work internationally or are concerned with species that have the potential to expand their ranges via international trade, travel or environmental changes.